Ruffles All Dressed returns permanently to store shelves here in the U.S. The hard-to-pin down flavor of Canada origin first crossed our northern border last fall but only for a limited visit. Apparently, it was popular enough, with its combination of salty, sweet, and savory, to take up residence here. You can find Ruffles All Dressed chips nationwide in 2.6-oz and 8.5-oz bags. The first carries a suggested price of $1.49, while the second goes for $4.29 (may vary). 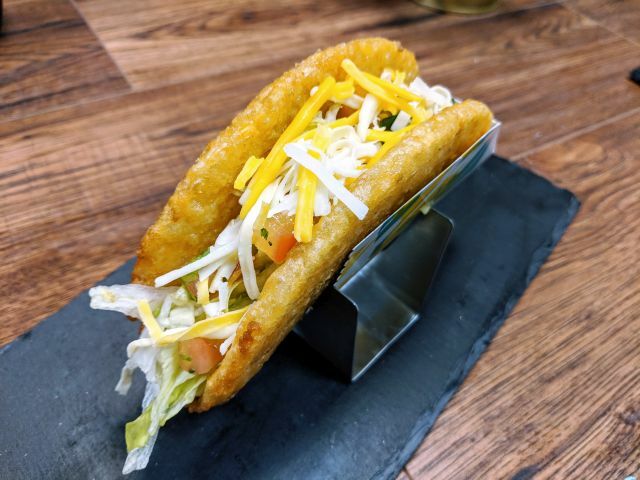 If you're looking for the Brand Eating review of the chips, you can find it here. 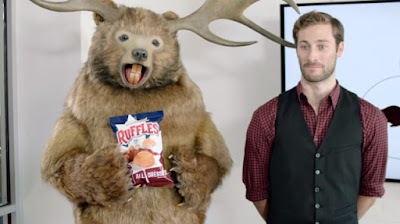 If you're wondering what the heck is that creature holding the bag of chips, it's a Beavoosear (as in beaver-moose-bear), the official mascot for Ruffles All Dressed.